Being a Goalie Mom means facing so many emotions during a game, many of which are incredible, and some are very stressful. It’s hearing other parents tell you that your child needs to focus for the “whole” game at the age of six, seven, and eight. Unfortunately at that age, daydreaming is as much of a sport as hockey is. Parents that would yell “pay attention” when my child was in Novice seemed to forget that their child had just coughed up the puck because they had lost focus during their 40-second shift. Being a parent of a goalie also means that you’re going to go into games armed with the knowledge that you’re either going to watch your child full of confidence because he made that big save, or full of heartbreak because he let in the goal that cost the game. 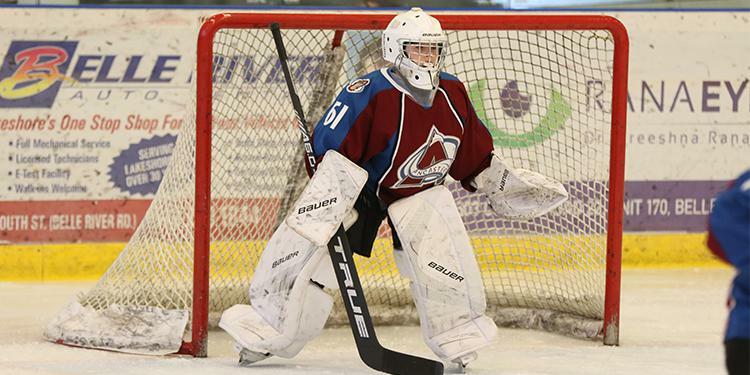 There is nothing like watching your young netminder skate on the ice engulfed in that equipment for the first time. Their little legs stumbling to get to their crease just to fall down once they come to a stop. The feeling when they make that first save and celebrate while the play is still going on. The look of the bright red cheeks and smiling eyes through that mask that makes them feel like they’re a super hero. It means spending time in the parking lot during a playoff game because you just can’t bare to watch. It’s knowing that you can’t buy that new living room furniture because the cost of his pads are going to be the equivalent. Each year, you settle for new throw pillows for your house content in the knowledge that your child is protected in net. It’s constantly hitting the stranger sitting next to you because your busy making imaginary saves from the stands. On a really bad day, it’s overhearing the other parents say they hope it’s the other goalie in net for the next game. Worst of all, it’s the looks of sympathy you get after your child had a bad game. That tilted head, sad eyed look from the other parents who are thanking God their child isn’t the goalie. Yes, these things are many of the challenges of being a Goalie Mom but they don’t come close to the joy and pride that’s also felt each time they take their spot in net. 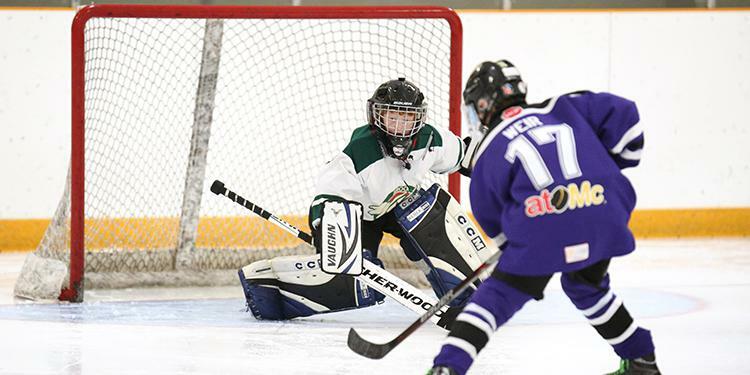 There is nothing like watching your young netminder skate on the ice engulfed in that equipment for the first time. Their little legs stumbling to get to their crease just to fall down once they come to a stop. The feeling when they make that first save and celebrate while the play is still going on. The look of the bright red cheeks and smiling eyes through that mask that makes them feel like they’re a super hero. As they get older it’s the joy of watching your young goalie spring from the butterfly in a split second, make that incredible glove save, and pad save to stop a puck in order to keep their team in the game. It’s the pride you feel when you watch your child cheer on their team from the bench knowing they aren’t the starting goalie. Yes, I have to say there is nothing quite like it! Allyson Tufts has integrated the humour of an anxiety ridden, hockey passionista with lessons learned over her personal journey that will facilitate an enjoyable, healthy, stress free experience for children and parents participating in Canada’s most beloved sport. She is the author of Lessons From Behind The Glass, a book that will help guide you to a balanced and less stressful life in the arena and keep you laughing along the way.